Google is the world most popular search engine and Facebook is the top social media in the world. Both are so popular these days. Google and Facebook both can be used to promote business, products and services by using their advertising service. Google AdWords and Facebook Ads both are so popular option where advertisers can place their ad. If an advertiser wants to promote business then which one is better? Google AdWords or Facebook Ads? Here the topic Google AdWords vs Facebook Ads come. So here in this article, I am going to compare between Google AdWords and Facebook Ads and define which one is perfect for your business. Before I am going to start the better one for you, I want to inform that it can’t be answered in one or two sentences. Before the conclusion, I have to give some information about both Google and Facebook Ad. Here I am going to discuss Google AdWords and Facebook Ads separately. Google is the most used search engine in the world and billions of search query occur on this search engine. Google AdWords has various methods of advertising to get your brand in front of new peoples. Here I am going to discuss some of them. In the above picture, you can see that some ad on appears related to the search query. This is called the search network ad of AdWords. These types of ad we often found on websites. Those websites act as publisher of AdWords display ad. Users can see those ads that are related to the content of the website or web page. We often find video type ads on YouTube. These ads also the part of AdWords which run on YouTube while starting a YouTube video or in the middle of YouTube video. This type of ads is specially formed for eCommerce site so that eCommerce business boost the sale of their products. These ads also match with the search query of users. There may be some other, but these are the most popular and common types of ad available on AdWords. Who should choose Google AdWords? There are several options available on Google AdWords. The ad type you choose depends on your business and how you want to be benefited by the ad. For example, if you want to promote your local business and want peoples to see your ad, then Google search network type ad with the selected location is better. On search network ad of AdWords, you can set keywords. When peoples search by one of your keywords from the location you select during placing the ad, then your ad will be visible on search results. 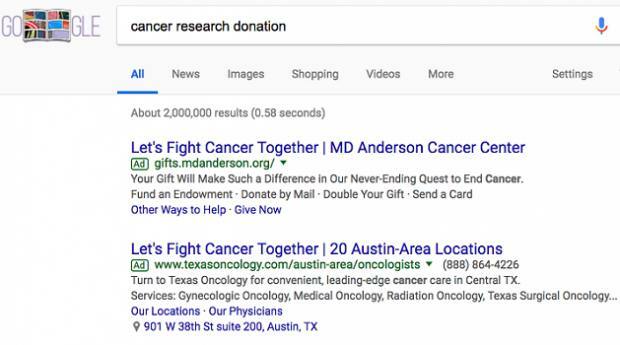 The probability of clicking your ad or buying your product is high as users search on their own and see it matches with your ad. If you want to promote your eCommerce product and want to make the sale, then the Shopping type ad is the perfect choice for you. Here a lot of peoples are likely to buy the product. Facebook is a great place for advertisers to promote their business. Your post or page like suggestion may reach to a huge amount of audience. The amazing thing about the Facebook ad is that it has billions of user account with various types of interest, job profile, skills, location, language and lots. Facebook ads can be targeted with these criteria and you can reach to the peoples who actually interested in your business. You often may see sponsored post or website link in the news feeds of Facebook. These appear because advertisers promote or boost their post from the Facebook page. They have to pay for publishing their ad on Facebook. Similarly, we can find asking to like a page on news feed instead of posts which also published by Advertisers on Facebook ads. Also, you can publish your ad on Instagram and Facebook messenger. You can choose mobile or desktop or both device where users can see your ad. With more than two billions active user per month at this time, Facebook becomes a powerful place to reach to the peoples. Who chooses place ad on Facebook ads? On Facebook, most peoples are not there for purchasing products or services. For this reason, the intent of buying or clicking the ad on Facebook is lower than Google. But that doesn’t mean you shouldn’t choose Facebook. With more than two billions monthly active users your ad can be visible to the huge amount of users which charge very less than the Google. If you want likes on your Facebook page then you can promote it through Facebook ads. In future when you post something on your page, then it will be visible by some of the users who liked your page. Also, if you promote your post or website link, then you will able to get likes and comment on it in very cheap price and some friends of those users who like your post or website link will able to see the post. With Facebook Ads, you can nicely take your post or page in front of the peoples who are interested, who work in a particular field of work, who has the particular locations and so on by choosing these criteria. Thus you will be able to target the particular audience that suits your business. The good thing about promoting on Facebook is that it will create brand awareness for your business. Well, before advertising on Facebook you should remember that the intent is very different than advertising on AdWords. From the above content, you may notice that Advertising on Google and Advertising on Facebook has different purposes. They have different types of benefits. The benefits of Facebook Ads may not be able to help you make the profit immediately, but it is a long-term process and in future also it may help you. For example, who like your business page on Facebook will be still able to see your future post and you don’t have to pay for it. But in case of Google AdWords, it will able to help you making sale easily. The intent of purchasing your product or service is high. Facebook Ads can help your post to be visible to a lot of users at a low price with low purchasing chances. But Google AdWords shows your ad less number of users, but it will help you to increase the chances of purchasing your product or service. Well, according to me and many other digital marketers, Google AdWords and Facebook Ads both are perfect depending on the requirement of the business. Also, it can be two different strategies for the same purpose. For example, on Google AdWords, few users will see your ad, but the higher intent of buying will increase your sale. on the other hand, Facebook has very low intent of making the sale, but the higher number of audience will increase the chances a little bit of making the sale. 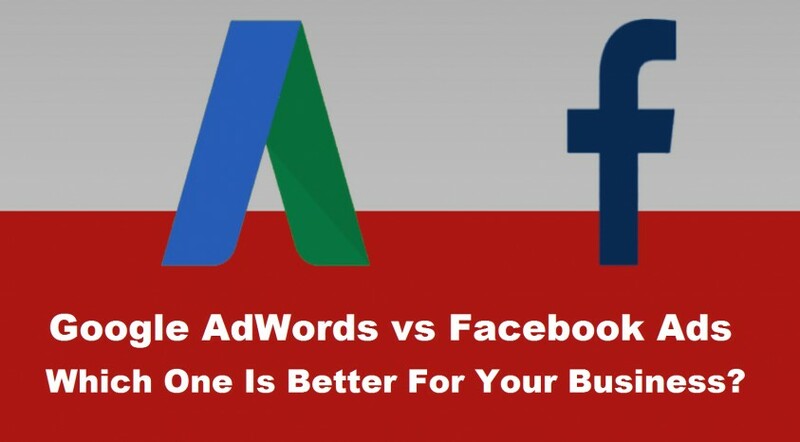 So which one is better between Google AdWords and Facebook Ads is depends on your needs and we can’t call one better than other. I hope you have got the idea.